Singing is a highly effective way of helping to deal with mental ‘chatter’ and today’s demanding lifestyle, CSA Chairman Paul Smith, said in his address at this year’s Annual Conference in Durham. 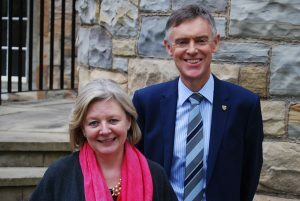 This was just one of a feast of brilliant contributors, debate and fun enjoyed by choir school heads over two superb days designed by our host, Yvette Day, Headmistress of The Chorister School, Durham. Heads returned to their schools with renewed energy and a spring in their step yesterday! 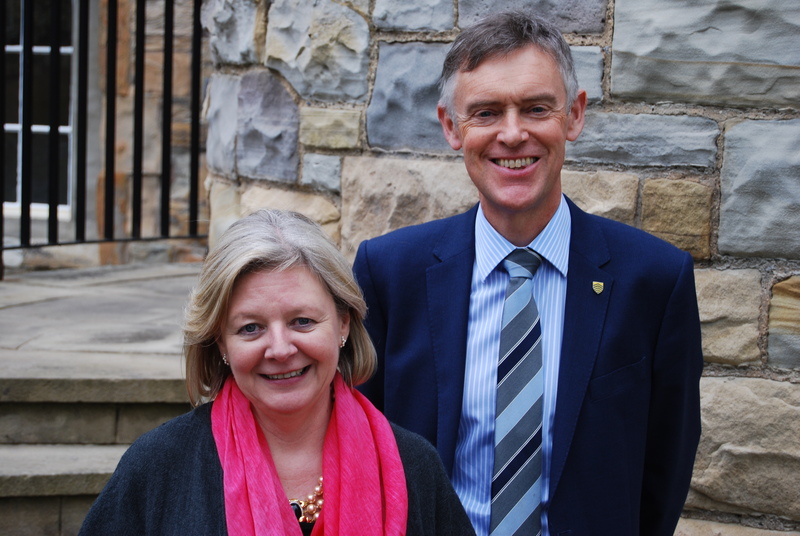 Paul, Headmaster of Hereford Cathedral School ( pictured below with Yvette), said: “It is well-documented that singing has a positive impact on well-being. ‘In a recent whole school singing practice, our Director of Music instructed everyone to out-sing their neighbour. To see every pupil in the school totally absorbed in singing to their peers was certainly good for my well-being! For a short period everyone was focussed on the job of singing. They stopped dwelling on negative internal chatter, those distracting thoughts we all have about life’s issues and problems. Their singing created positive energy and a happy mood which was infectious and transparently good for everyone. ‘Singing can act as a form of meditation, taking us away from everyday worries and concerns, and as such has real spiritual benefit. It brings people together, and encourages empathy. More conference reporting to follow!